The story takes place on the continent of Irin. A continent currently under the control of the Triton Empire. A series of events will risk starting a war that only the Guilds can avoid. We will take the control of Eliza that during the campaign will meet other playable characters. The events will be told through Fire Emblem-style dialogues. 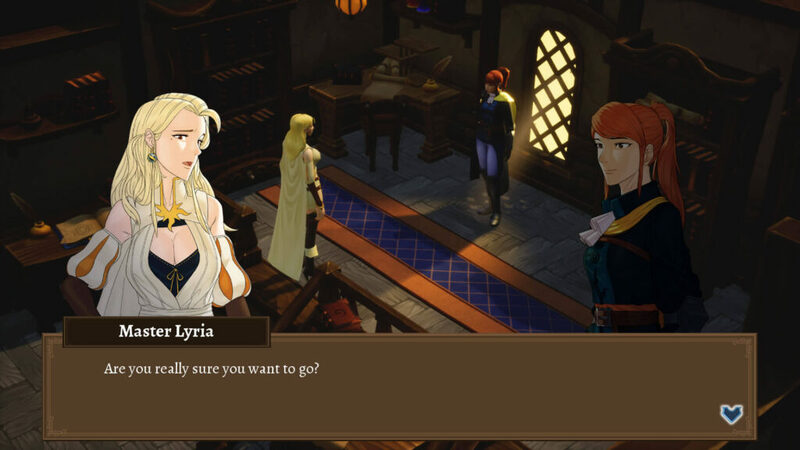 Grand Guilds presents itself as a story driven turn-based tactical RPG that remember a lot Final Fantasy Tactics. We will have a map of the world where we can move from one point to another to deal with the missions of the main story or to complete the secondary quests. We will travel around the map using a flying ship named Mami. While in the air, there is a chance that we will encounter dynamic events which may yield various rewards. 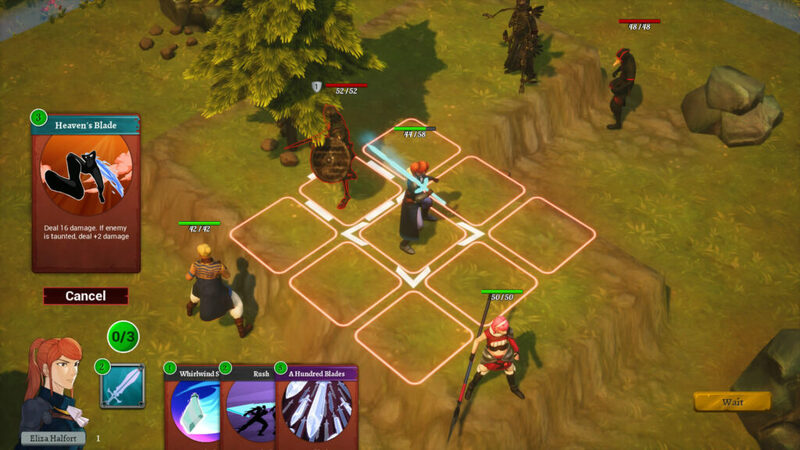 In the combat phase, Grand Guilds mixes classic elements of turn-based games such as displacements, exploitation of heights, the tactical positioning of units with an innovative card system. In practice, every skill of our main characters is represented by a card. Every hero will have his deck, completely manageable and customizable. Characters acquire more cards as they progress. There are 3 main types of cards. Physical – cards that are affected by the character’s STR attribute and deal physical damage. Effects can be reduced by Armor. Magical – cards that draw from the INT attribute and deal magical damage. Effects can be reduced by Resistance. Utility – cards that do not deal any damage but instead perform various effects such as heals, stun, teleport, taunt, etc. 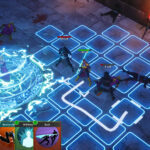 Turn-Based Strategy – Learn and master the fundamentals of tactical combat. In Grand Guilds positioning, terrain, and your action points will mean the difference between victory and defeat. Card Combat System – A diverse set of skill cards will form the abilities of your units, making every turn more dynamic and each decision more important and meaningful. 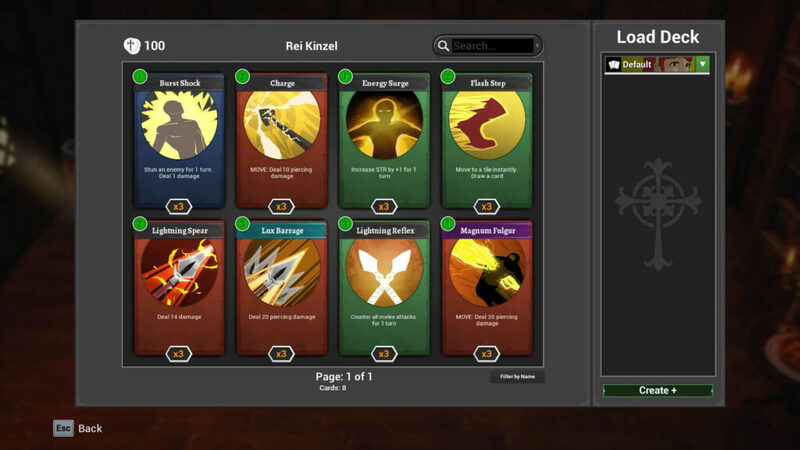 Deck Building – Tailor each character to your playstyle by customizing their skill decks. Obtain powerful new abilities by completing quests or leveling your characters. Guild Quests – Embark on challenging, procedural missions that yield exciting rewards. Increase your guild’s reputation to earn bonuses that will aid you in combat. 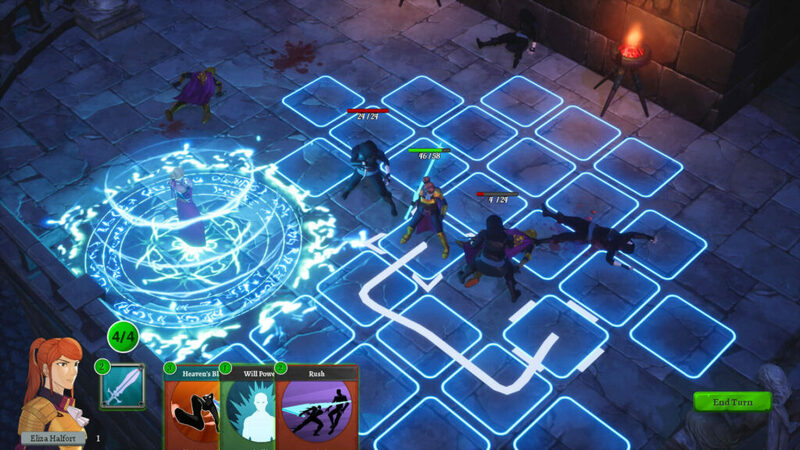 Diverse Cast – Each playable character has unique mechanics and abilities that enable them to fill various roles in your squad such as tank, support, and damage dealer. Epic Journey – Unravel the mysteries shrouding Irin, a continent on the brink of war. Follow Eliza and her companions as they journey through this vast, magical world. Partial Voice Acting – Heroes will shout out their actions in combat and express their feelings during dialogue with short voice lines. Drix Studios was founded in 2013, initially named Jujaswe, by Justin Hendrix Villegas while still studying at a university. The company started as a Flash game development company, making games for the web and mobile platforms as a hobby. It’s first hit game was called Spy Bear, a 2D physics puzzle shooter published by Arcade Bomb. The game became popular in gaming sites such as Newgrounds and Kongregate and later made it to the Google Play Store, garnering around 50 thousand installs. A few days ago, Grand Guilds started its Kickstarter campaign to reach the € 21.943 goal. The games will initially be developed only for PCs and in the future, Drix Studios will be evaluated the possibility of taking it on the various consoles. A hypothetical release date has been set around August 2019. Looking for some cool turn-based games? Here’s a list of the most promising.